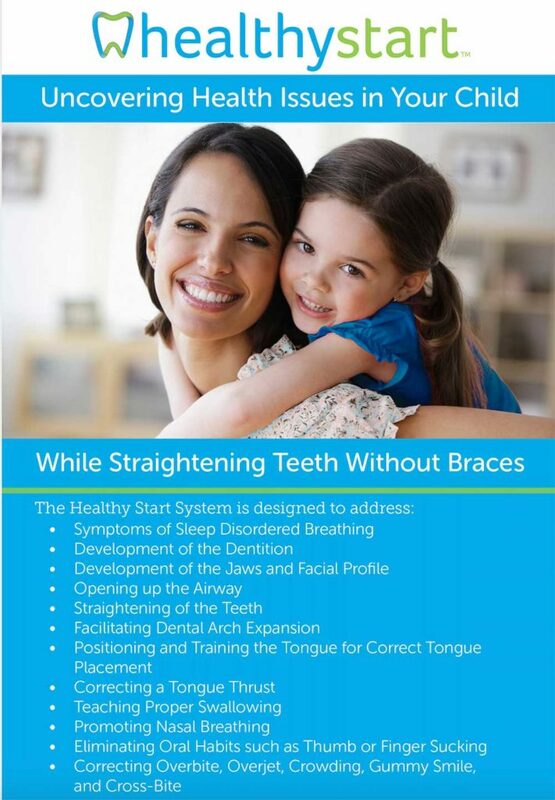 The HealthyStart® System is an oral appliance therapy that promotes natural growth and development, which addresses the root causes of Sleep Disordered Breathing(SBD) as well as straightens teeth.Research has shown that SDB-induced oxygen deprivation is a major contributing factor to the childhood health disorders. 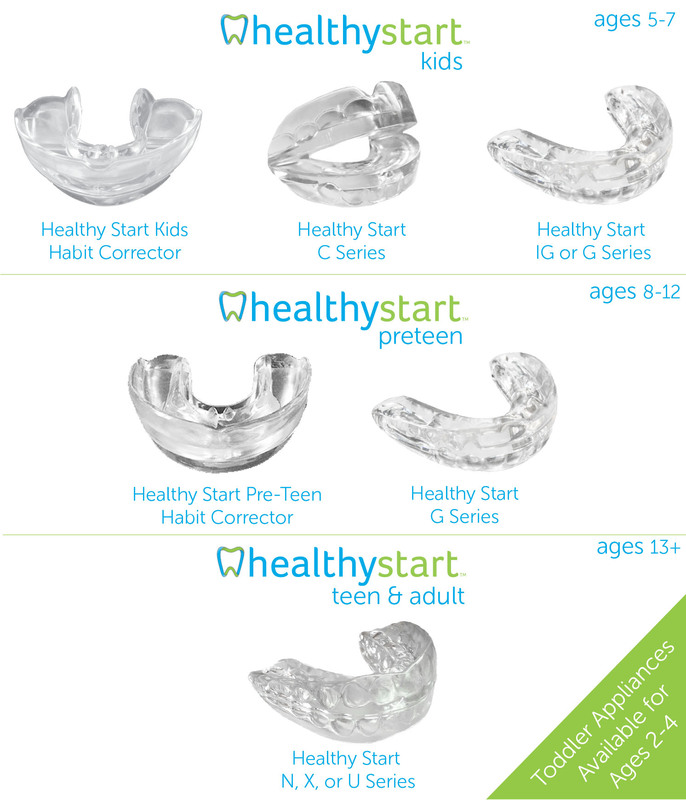 The HealthyStart® System has been specifically designed to promote the proper growth and development of the jaw and airway to optimize airflow and promote proper nasal breathing while straightening your child’s teeth.As these areas develop many of the symptoms of Sleep Disordered Breathing disappear.When kids can breathe properly, they can begin to learn, grow, and blossom into their true genetic potential … just as nature intended. HealthyStart® is non-surgical, non-pharmaceutical, pain-free, and non-invasive therapy. It is a soft, comfortable oral appliance worn at night (and/or as directed during the day) to assist parents who struggle with children affected by Sleep-Related Breathing Disorder, a restricted airway and crowded or crooked teeth. Healthy Start not only addresses the root cause of Sleep Disorder Breathing it simultaneously straightens your child’s teeth without braces. Best of all, when treatment begins early, the perfect smiles that the HealthyStart® Appliance System creates are less likely to relapse! HealthyStart® creates healthier, happier kids who can breathe.Rarely has there ever been a single appliance or system with the power to impact your child’s health in so many positive ways. As a parent, you owe it to your child to give them every chance to succeed. Call today for more information on how to help children achieve their full potential. HealthyStart® Appliances are FDA Cleared, BPA, Silicone and Latex Free, ISO Certified, and a Health Canada Class II Medical-Grade Device.